Star Wars Episode VII: The Force Awakens hit theaters in 2015, a full ten years after Episode III, the dramatic conclusion to the prequel trilogy. Indeed, it can seem hard to believe that 1999's Episode I: The Phantom Menace is a seventeen-year-old movie. 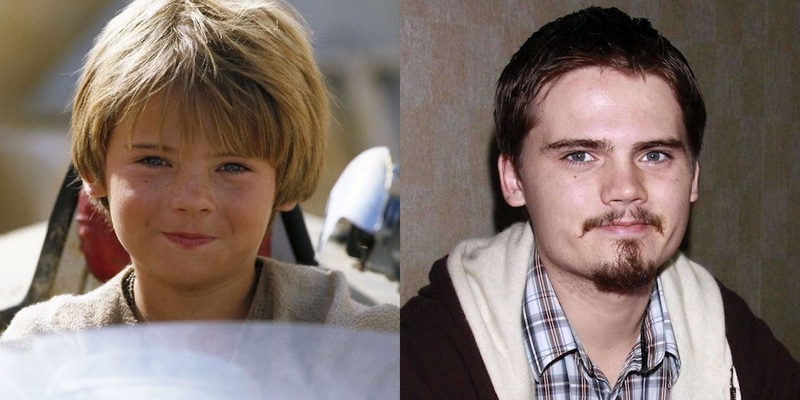 Wait a second... That means that Jake Lloyd, who played baby-faced Anakin Skywalker in that film, is 27 years old now? What ever happened to that guy? For that matter, what ever happened to the entire cast of the prequel trilogy? Let's take a look at the stars of the Star Wars prequels and examine how their careers have changed since their adventures in a galaxy far, far away. Some of these actors have since become some of Hollywood's most sought-after talent, while others struggled to find mainstream success outside of George Lucas's controversial look at the origins of Darth Vader and his progeny. This is Where Are They Now: The Cast Of The Star Wars Prequel Trilogy. The first two Star Wars trilogies are centered around the rise, fall, and redemption of Anakin Skywalker, aka Darth Vader. 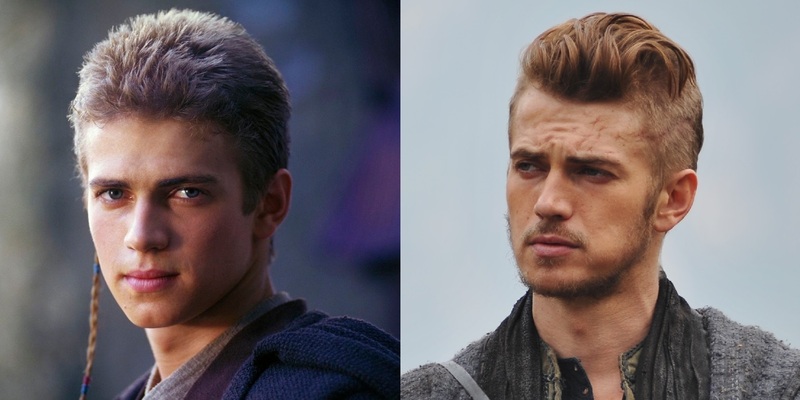 While Jake Lloyd played a decidedly too young version of the character in Episode I: The Phantom Menace, the role of adult Anakin, as seen in Episode II and Episode III, went to Hayden Christensen. A relative unknown at the time, Christensen was naturally launched into superstardom, though the near-universal backlash against the generally reviled prequel trilogy kept leading roles out of reach for the dashing young leading man. In between the release of Episode II and Episode III, Christensen earned a degree of acclaim for his performance in Shattered Glass, based on the true story of disgraced journalist Stephen Glass. After his role in the Star Wars universe had run its course, Hayden tried to hop on board a new franchise with Jumper, but that film's dismal box office returns precluded the possibility of a sequel. Since then, Hayden has made appearances in many movies, usually as a supporting actor. He co-starred with Andy Garcia and Rachel Bilson in a charming segment of the anthology romance, New York, I Love You, and was part of the ensemble in the financially successful heist thriller, Takers. Coming up, Christensen will next be seen alongside Bruce Willis in the hostage thriller, First Kill, as well as Numb, At the Edge of the World, with Harvey Keitel. Whether or not either film will prove to be remotely noteworthy has yet to be determined. While the prequel trilogy is deeply polarizing to most long-time Star Wars fans, there is one aspect of the films which is universally beloved: Ewan McGregor's spot-on portrayal of Obi-Wan Kenobi, a character originated by Sir Alec Guinness, who was nominated for an Oscar for his work in the first Star Wars. While the Scotland-native had a handful of credits under his belt (including Danny Boyle's Trainspotting, which has a sequel on the way) by the time he was cast in The Phantom Menace, he quickly became an in-demand Hollywood staple. In 2005's The Island, which opened just a couple of months after Revenge of the Sith, he played a clone on the run. The action flick earned a degree of critical acclaim, for a Michael Bay movie anyway, but failed to make an impression at the box office. Following this, McGregor's resumé has proven to be as varied as it is impressive. He starred alongside Jim Carrey in the 2009 romantic comedy, I Love You Phillip Morris, as well as 2011's underrated action thriller, Haywire. McGregor will next be seen as the lead in the highly anticipated third season of FX's hit series, Fargo, as well as the upcoming live-action remake of Beauty and the Beast, in which he will be playing everyone's favorite candelabra, Lumiere. Speculation remains that he'll one day be afforded the opportunity to reprise his role as Obi-Wan in a spinoff film, a proposition that was recently supported by Rogue One director Gareth Edwards. Natalie Portman may not have been a household name in 1999, but was already on Hollywood's radar for her acclaimed performance alongside Jean Reno and Gary Oldman in Luc Besson's The Professional. 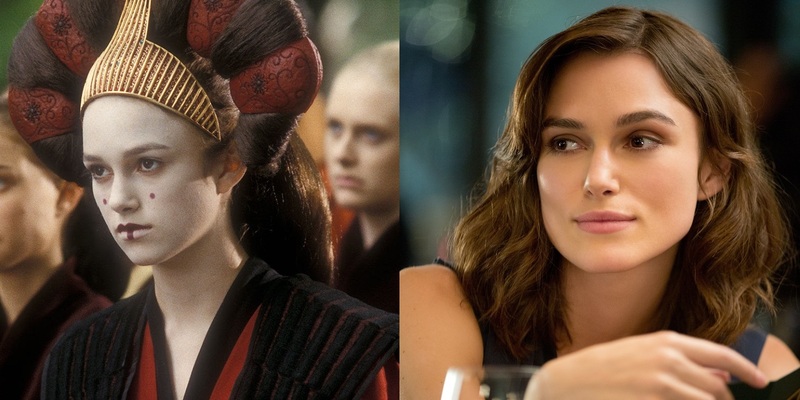 In the prequel series, Portman played Queen (and later, Senator) Amidala of Naboo, who leads her people with grace and dignity, before falling in love with the hunky Jedi, Anakin Skywalker. Needless to say, it doesn't quite work out for poor Padme, who dies while giving birth to future galaxy liberators Luke and Leia. After her character "lost the will to live," as the medical droid puts it, Portman went on to have a prestigious career in Hollywood, starring in such varied films as V for Vendetta, Black Swan (for which she won the Oscar for Best Actress), and she even scored a prominent role in the Marvel Cinematic Universe, as Jane Foster in the Thor movies. Portman made her directorial debut with a segment of the romantic anthology film, New York I Love You, although not the segment which featured her Star Wars co-star, Hayden Christensen. Her latest film, the biographical drama Jackie, is currently enjoying a strong performance in limited release. Her upcoming projects include Annihilation, from Alex Garland, writer/director of Ex Machina, and Weightless, from Terrence Malick. Even before he was cast as the maverick Jedi, Qui-Gon Jinn, Liam Neesen was already a beloved actor, having earned great esteem for his performances in films like Schindler's List and the little-seen Rob Roy. Although Qui-Gon only appears in the first of the three prequel films, he plays a pivotal role in the plot, to say nothing of keeping the film itself afloat during the myriad boring bits. 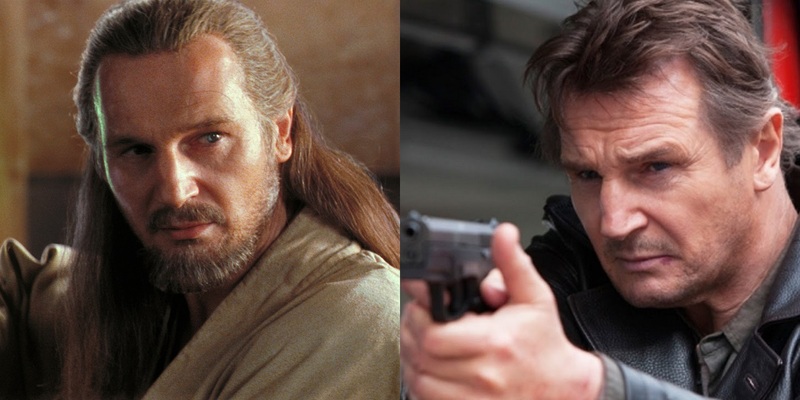 Neesen's Jedi training surely came in handy when the actor appeared in the first entry of Christopher Nolan's Batman reboot trilogy as the villainous Ra's al Ghul. He later reprised the role for a cameo appearance in The Dark Knight Rises. In 2008, he received an unexpected late-game resurgence as a major action star; at the age of 56, he starred in Luc Besson's Taken, an all-out macho action flick in which Neeson's character, Brian Mills, shoots his way through Paris on a quest to save his kidnapped daughter. The film inspired two sequels and led to many more action roles for the Irish actor, including The A-Team, Clash of the Titans (and its sequel), and the underrated Run All Night, co-starring Ed Harris and Joel Kinnaman. 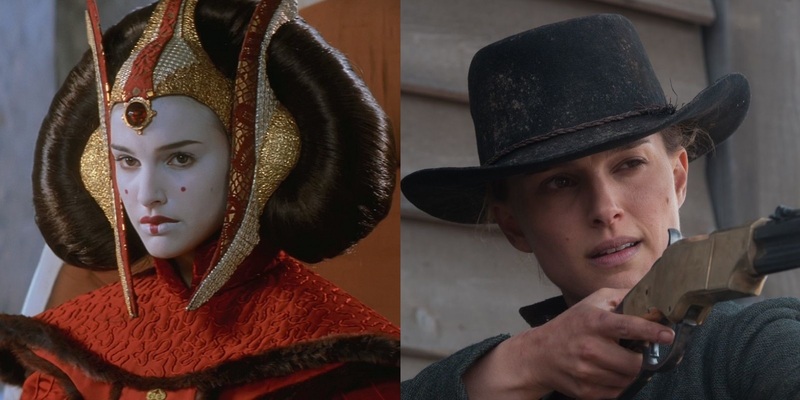 Many people forget that Keira Knightley had a featured role in The Phantom Menace, mostly because she's almost always in disguise as the Queen. Indeed, the actress, a virtual unknown at the time, played Sabé, Padme Amidala's handmaiden and decoy. Shortly after her debut in Star Wars, Knightly co-starred in Bend it Like Beckham, a coming-of-age story about the Sikh religion and soccer. To those who haven't seen it, trust us: it's much better than it sounds. Following this, Knightley became an in-demand Hollywood starlet with her role as Elizabeth Swann in 2003's Pirates of the Caribbean: The Curse of the Black Pearl. She would reprise her role in two sequels, Dead Man's Chest and At World's End. She also starred in major releases like King Arthur and Jack Ryan: Shadow Recruit, though she generally leans towards more intimate films. On that end of the spectrum, her credits include timeless romances like Pride & Prejudice and Love Actually. She currently stars alongside Will Smith in Collateral Beauty, which just opened on the same day as Rogue One: A Star Wars Story. It's almost impossible to discuss the Star Wars prequels without mentioning Jar Jar Binks. To a great majority of fans, this single character represents everything that is wrong with the films: he is loud, obnoxious, one-dimensional comic relief, and entirely fabricated using CGI technology. Not enough can be said about how poorly-written the character is. That being said, it's also hard to deny that actor Ahmed Best does a great job, together with the dedicated folks at Industrial Light and Magic, at bringing every Star Wars fan's go-to punchline to life. Jar Jar, loathe him or hate him, was one of the first photorealistic CGI characters in motion picture history. 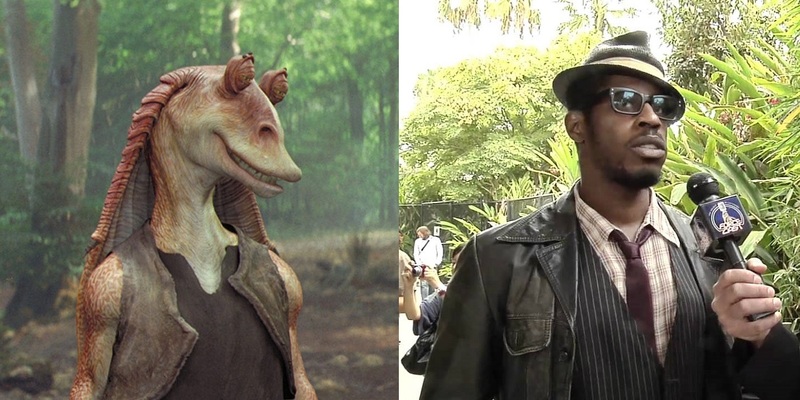 For his part, Ahmed Best rolled with the punches, and is generally said to be proud of his work as the Gungan outcast. He even reprised the character for many of his numerous appearances in video games and animated episodes of The Clone Wars, where, due to his decreased screentime and the better pacing of the series, he was met with a much warmer reception than he had initially received after The Phantom Menace. He even played Jar Jar in the hilarious Robot Chicken parodies of Star Wars, showing that he has a sense of humor with regards to fan reception towards his most infamous role. These days, Best still manages to find consistent work. When he's not playing Jar Jar, he finds himself in small roles in weird movies like FDR: American Badass and Some Guy Who Kills People. Not exactly Oscar fodder, but at least he's still keeping busy! 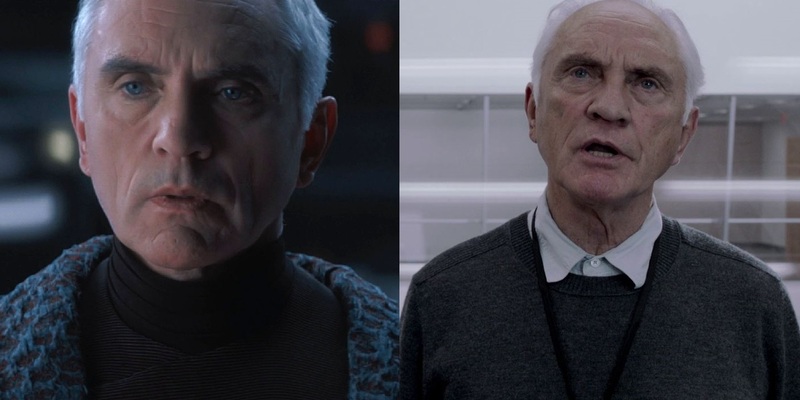 Decades before his appearance in Star Wars: Episode I, Terence Stamp was already one of the most famous actors in the world. A contemporary and close friend of Michael Caine, Stamp's first role, that of the title character in 1962's Billy Budd, earned him an Oscar nomination. From there, Stamp rocketed towards superstardom and became one of the hottest celebrities of the "swinging '60s." Arguably his most popular role came about in Superman II (and its precursor) as the villainous General Zod. His menacing portrayal of the Kryptonian rogue won him great acclaim and the respect of comic book fans the world over. After his small-but-grandiose performance in Star Wars, Stamp was featured in supporting roles in many big budget blockbusters. He co-starred in such popular actioners as Wanted, Get Smart, and Valkyrie. He was also the first actor to play Marvel Comics' Stick, although it was in the decidedly unloved Elektra, starring Jennifer Garner. Without exception, fans vastly prefer Scott Glenn's take on the blind badass, as seen in Netflix's Daredevil series. Most recently, Stamp starred in back-to-back Tim Burton productions, Big Eyes and Miss Peregrine's Home for Peculiar Children. The only Jedi to wield a purple lightsaber (why? Because it's awesome, that's why! ), Mace Windu was played with jagged gravitas by the original BAMF himself, Samuel L. Jackson. The star of such classics as Pulp Fiction and The Long Kiss Goodnight, Jackson has a well-deserved reputation as one of the hardest working actors in Hollywood. After lighting up the screen as Mace Windu (and being lit up like a roman candle by Palpatine's aggressive use of Force Lightning), Jackson continued his nonstop output of performances in films of widely varying quality. Among his more prestigious roles are his numerous turns as Nick Fury in the Marvel Cinematic Universe and his continuing partnership with Quentin Tarantino (Django Unchained, The Hateful Eight). On the other hand, he also starred in such duds as Barely Lethal, the ill-advised Robocop remake, and the stillborn franchise starter, Jumper, which was intended to be a vehicle for his prequel co-star, Hayden Christensen. Samuel L. Jackson, simply put, is an actor who loves his craft, of which he is an undisputed master, and he probably won't stop until he dies. And that's just fine by us. Episode II is just as hotly contested as the other two prequels, but one of its rarely-disputed highlights is the portrayal of Jango Fett, whose clone son, Boba Fett, would return to hassle Han Solo in the original trilogy...before being unceremoniously fed to the hungry Sarlacc. Played by New Zealand actor Temuera Morrison, Jango is armed with dual blaster pistols and a jet pack which fires rockets. Need we say more as to why Fett is the coolest? 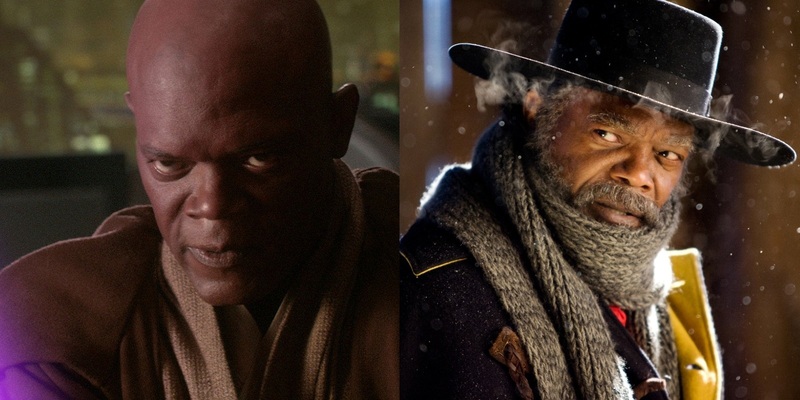 After being disposed of by the only Jedi righteous enough to match his might, Samuel L. Jackson's Mace Windu, Morrison's career, while respectable, never reached the lofty international heights of his Star Wars appearance, though he did appear in the celebrated Starz Original Series, Spartacus, and played a small role in the big-budget Green Lantern misfire, as the dying member of the Corps who bestows his sacred ring upon Hal Jordan. In his home country of New Zealand, however, Morrison is an undisputed national treasure. His 1994 film Once Were Warriors, made him a household name in his native land, nearly a full decade before his Star Wars debut. In 2014, Morrison released an album, Tem, consisting of songs which had been performed by his uncle, Sir Howard Morrison, who was practically the Frank Sinatra of New Zealand. 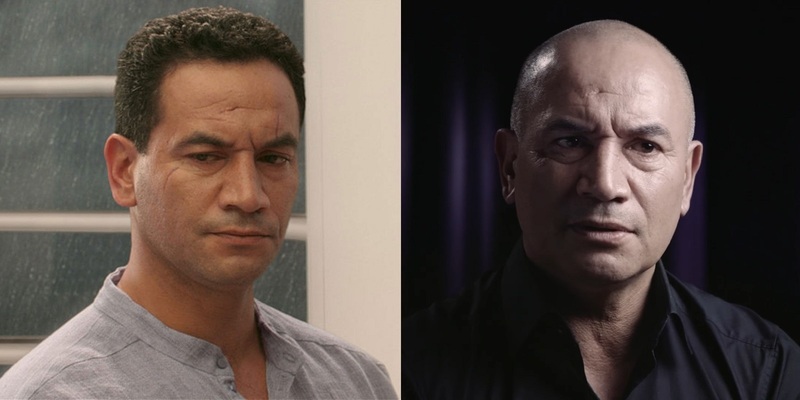 In addition to this, Temuera played Boba Fett in the hit EA video game, Star Wars: Battlefront, and also lent his voice to the animated Disney film, Moana. Prior to his casting in Star Wars: Episode II, Jimmy Smits was known for his roles on the television series LA Law and NYPD Blue, earning fans on both coasts of the United States. Before that, he played Sonny Crockett's partner in the pilot of Miami Vice, who falls victim to a car bomb during a small-time drug deal gone horribly wrong. In Star Wars, Smits played Bail Organa, a Senator who opposed the imposing tyranny of the ruthless Emperor Palpatine and adopts Leia Skywalker and raises her as his own daughter. 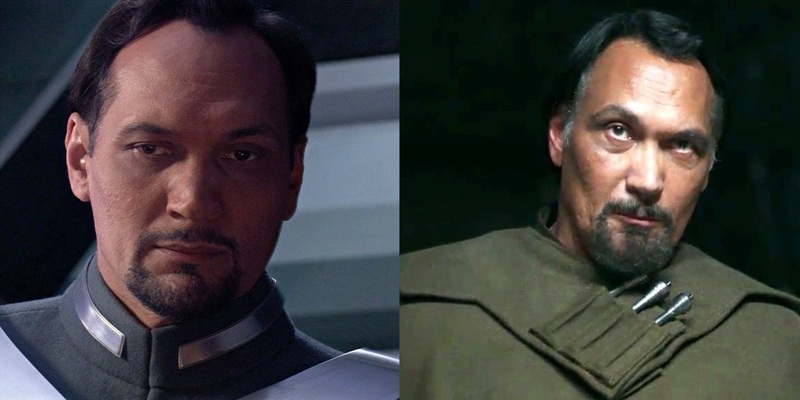 Following his time in a galaxy far, far away, Jimmy Smits returned to television, earning awards and critical acclaim for his roles on such prestigious shows as The West Wing, Dexter, and Sons of Anarchy. This January, he will co-star in the 24: Legacy, a revival of the famous FOX series. Before that, however, you can catch him reprising his role of Bail Organa in Rogue One: A Star Wars Story. In Episode II, Anakin and Padme hide out on Tattooine and meet Owen and Beru Lars, who would later be foster Uncle and Aunt to Mark Hamill's Luke Skywalker. While he was quite an unknown actor back in 2002, modern viewers should instantly recognize Owen as Joel Edgerton, one of today's most talented (and still rising) stars. After Star Wars, his major breakout performance was in the gripping MMA drama, Warrior, in which he and Tom Hardy played brothers forced to square off each other for the sake of ego and a large cash prize. 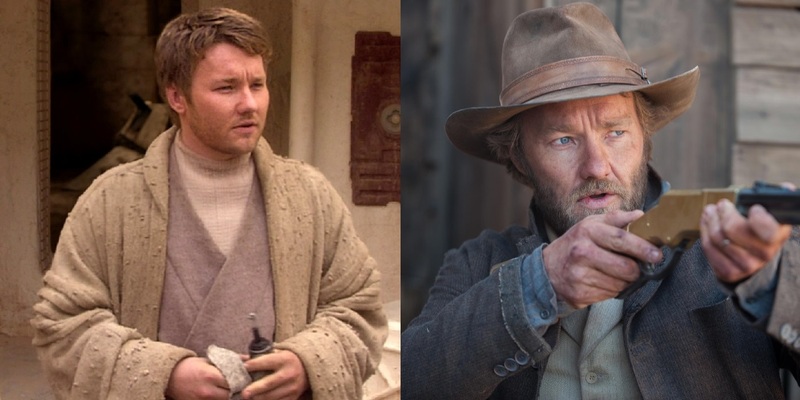 Edgerton transformed from the round-faced teddy bear of Owen Lars into a lean, mean, fighting machine for the role, and hasn't looked back since. In 2015, Edgerton made his directorial debut with the well-regarded thriller, The Gift. Then, he co-starred with Johnny Depp and Benedict Cumberbatch in the Boston-set real-life crime drama, Black Mass. He followed this success with the early 2016 bomb, Jane Got A Gun. While a decent film, its lackluster marketing and poor release schedule led to it becoming one of the biggest box office misfires ever, earning just $1.5 million domestically from a $25 million budget. However, it is noticeable for also starring Natalie Portman and Ewan McGregor, two alums of the prequel trilogy. Edgerton bounced back, however, and currently stars in the romantic drama Loving, in which he shares the screen with Ruth Negga (Preacher). Together, they play an interracial couple who faces adversity in 1960s Virginia. It is not to be missed, and will surely earn plenty of awards contention come Oscar season. One of the most iconic images of Episode I is that of towering doors opening, revealing the tattooed visage of Darth Maul. He lights up his dual-bladed lightsaber and proves to be more than a match for the combined strength of both Obi-Wan Kenobi and Qui-Gon Jinn. 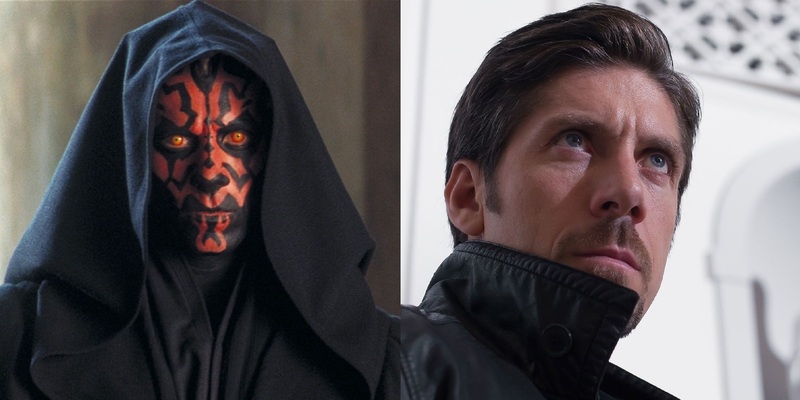 Ray Park, the man behind the demonic face, is a Scottish martial arts master and actor. After his scene-stealing turn as Darth Maul, Park gained additional acclaim for his role as Toad in Bryan Singer's first X-Men film. Following this, his other most iconic role is that of Snake Eyes in the GI Joe film series. Even though the second film, GI Joe: Retaliation, jettisoned many elements from the first movie in favor of new characters and plotlines, Ray Park's stoic portrayal of Snake Eyes is one of the few elements which was carried over, virually unchanged. Coming up, we would like to see Park return in a third GI Joe film, if it ever gets made. More immediately, he is set to co-star in Accident Man, alongside Scott Adkins, Ashley Greene, and Ray Stevenson. The comic book adaptation is from a small studio and will likely be released straight-to-video (when was the last time a Scott Adkins-headed film was released to theaters? ), but, given the talent involved in front of the camera, we are aiming to be pleasantly surprised by the 2017 actioner. Episode I featured a then-unknown Keira Knightley as Padme's handmaiden. Likewise, Episode II featured another actress who would become a widely-recognized celebrity playing another of Padme's most trusted advisors. 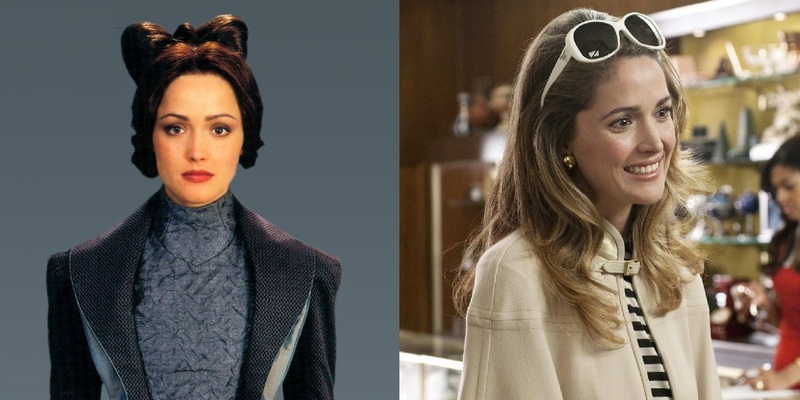 Australian actress Rose Byrne played Dormé, a relatively minor character in the grand scale of Attack of the Clones. She remains behind on Coruscant as a decoy to draw would-be assassins off the scent of the real Senator. After her small role in Episode II, Rose Byrne slowly became one of the most in-demand actors working today, and she is sought-after for both her dramatic and comedic talents. On television, Byrne paid her dues in the acclaimed drama Damages before transitioning into a wide variety of feature film roles. She played Moira Taggart in the X-Men films, and co-starred in Insidious and its sequel alongside Patrick Wilson. Still, many fans believe her true calling is comedy, as she absolutely lit up the screen with her performances in films like Spy, Bridesmaids, and Neighbors. Byrne's tenure on the A-List has only just begun, and we anticipate that she will have a long and successful reign. 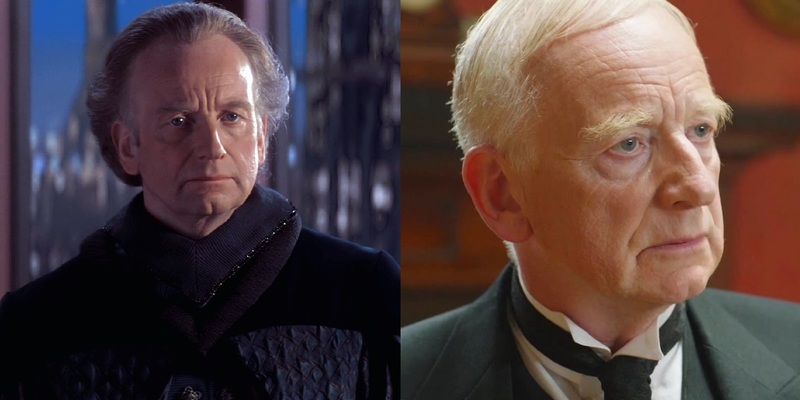 In terms of casting history, Palpatine is a fascinating character. In 1983's Return of the Jedi, the Emperor was played by a 39-year-old Ian McDiarmid, who wore a ton of make-up in an effort to look ancient and deformed. 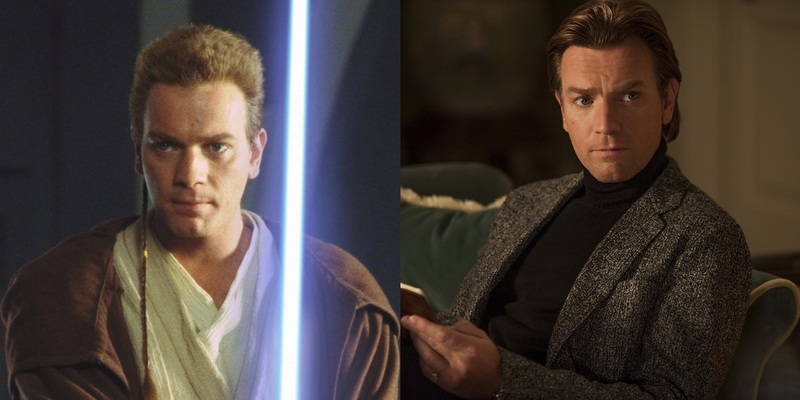 When it came time to make the prequel trilogy 16 years later, McDiarmid was just the right age to play a younger version of the character, before his rise to power. Finally, in Episode III, his evil persona is unchained, and McDiarmid gets to ham it up in a manner in which few actors are truly capable. In short, Ian McDiarmid's performance as Palpatine is one of the best parts of the prequel trilogy, and the single greatest accomplishment in the generally ho-hum Revenge of the Sith. A classically-trained British thespian, McDiarmid's theater credits are nearer and dearer to the actor than his work in film and television, and he's a proud member of the prestigious Royal Shakespeare Company. Still, McDiarmid is a recurring staple on British television, with key roles in such programs as City of Vice, 37 Days, and Utopia. He will next be seen in the 2017 epic Game of Thrones-esque drama, Britannia. More so than any other actor on this list, Christopher Lee needs no introduction. Between his powerfully booming voice (perfect for heavy metal prog jams) and imposing figure (he stood at an intimidating 6'5''), to say nothing of his tremendous body of work as an actor, Sir Christopher Lee was one of the greatest and most respected actors of all time. Even before the original Star Wars trilogy, Lee was already a cult star due to his headlining role in the gory Dracula films of the 1970s. He also starred in the original version of The Wicker Man (not the one with "the bees! "), and as the villainous Scaramanga in the 007 flick, The Man With The Golden Gun. Despite his decades of success, it wasn't until the one-two punch of his roles in Star Wars and Lord of the Rings that he truly solidified his status as a film legend. 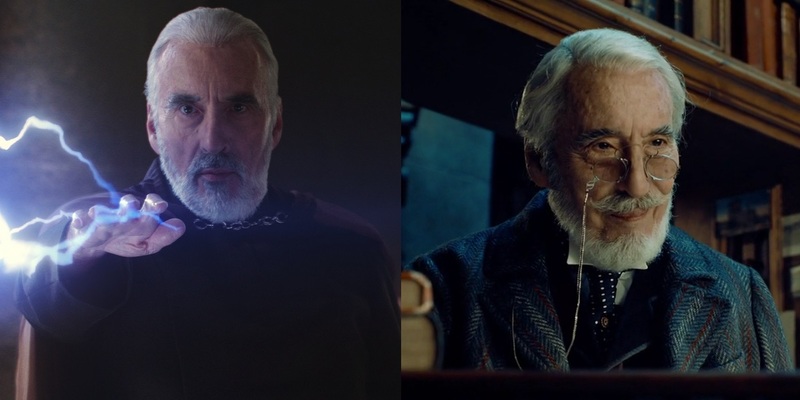 After ending work on the Star Wars prequel trilogy, Lee starred in the LotR prequel films based on The Hobbit, as well as the Martin Scorsese classic, Hugo, in addition to a slew of cameos in Tim Burton films, including voicing the Jabberwocky in Alice in Wonderland. Speaking of voice-over work, Lee also played DiZ in Kingdom Hearts II, his legendary timbre adding dignified gravitas to the mysterious character. Christopher Lee passed away in 2015. He was 93 years old, and a hard rocker to the end. Second only to Jar Jar Binks, the most widely derided aspect of the Star Wars prequels was the decision to introduce Anakin Skywalker as a little boy, rather than a fully-grown adult, or at least an adolescent. The littlest Skywalker was played by Jake Lloyd, a child actor who had previously played the young son of Arnold Schwarzenegger in the holiday farce, Jingle All the Way. Following his appearance in The Phantom Menace and its assortment of video game tie-ins, young Lloyd retired from acting, though his later life was filled with its own form of drama. In 2015, he was arrested for reckless driving without a license, as well as resisting arrest. Jake has schizophrenia, and he had skipped taking his medication, causing the incident. In April of 2016, he was transferred from prison to a psychiatric facility due to his mental illness. We don't know what the future holds for Jake Lloyd, but we sincerely wish him the best in his recovery, rehabilitation, and future endeavors. 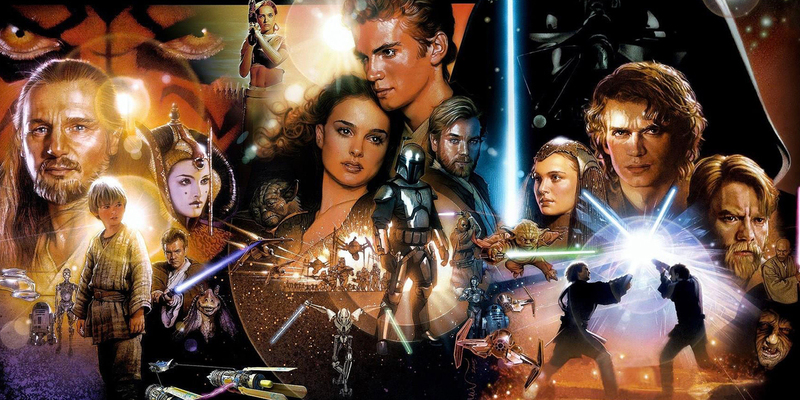 What are some of your favorite performances from the Star Wars prequels? Would you like to see Ewan McGregor reprise his role as Obi-Wan Kenobi in a spinoff movie? Sound off in the comments!